I'm using the Maybelline Angelfit Two-Way Cake Foundation in OC1 for the past few years however, I just realized that its manufacture date was 2007/11/13 and right now we are in Year 2011/11/30. The powder is 4+ YEARS OLDDD! OMFG... (ò д ó;;) Even though I still have a lot left, I don't dare to use it because I'm afraid it has already expired so to play safe, I went to buy a new powder. Lol. I got the Maybelline Limited Edition New York Pop Set: Two-Way Cake Pure Mineral Foundation in OC1. 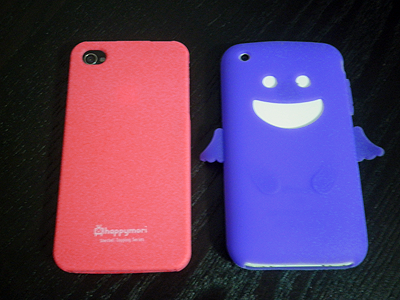 I personally dislike the design of the case but I still got it because it's cheaper than the original? Pure Mineral design — the brown case. Arghh, whatever... the most important thing is the powder. Lol. Anyway, I have yet to use it. 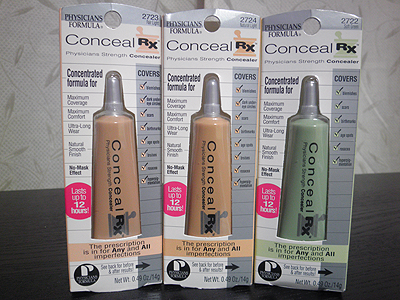 Grabbed the Physicians Formula Conceal RX in Fair Light, Natural Light and Soft Green. 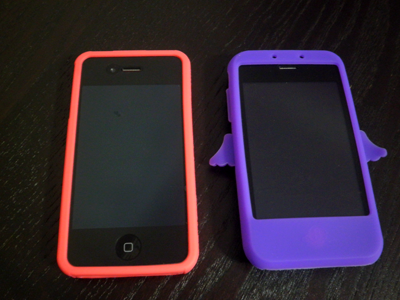 Got new phone cases for my Iphone 3GS and 4. Chocolate addiction! 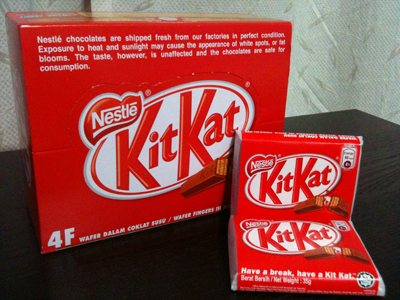 Wheeeeeeeeeees~~~ Have a break, Have a Kit Kat! 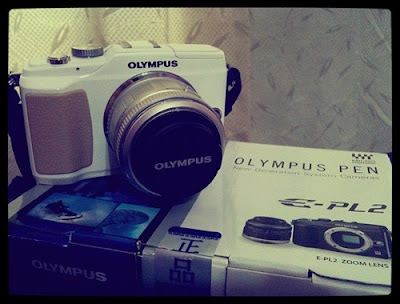 I mentioned about this product before and I really love love SUPER LOVE this item! It works like an instant miracle to get rid of zits. Works better than anything else... After I blogged about it the other time, I actually went to get another 4 more boxes the next day. I finished a box in a super fast speed because I have a lot of zits to deal with and because of that, it costs a little more expensive to me. But I am willing to invest my money in this because it seriously works great. I used it every night after I washed my face. 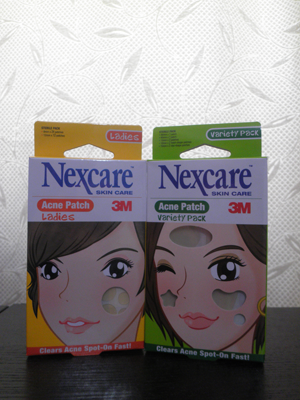 It absorbs all the oil secretion and pus preventing the zits from getting worse overnight. The next day the zits will definitely reduced it's size and it takes about 2-3 days to completely flatten the zits(whiteheads and/or smaller zits). For large pustules and/or papules, it takes a little longer, maybe about 3-5 days, to completely get rid of it. 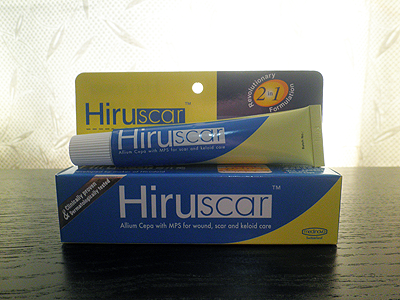 Hiruscar gel comes to rescue~ It's transparent, very light and get absorbs into the skin after massaging. It claims to lighten pimple scars and improve raised scars appearance and I personally think it does! I used this every morning and night after cleansing and it fades my acne pigmentation/discoloration pretty well without breaking me out. FYI, this is my sixth tube~ I started using this since last year and stopped using it after a few months after I got cleared. Recent breakout makes me insane, it left me with a lot of acne spots/pigmentation/discoloration so, I decided to add this back into my skincare routine. Of course, don't expect instant miracle from this product. It takes time to lighten and fade scars. I noticed a difference after using it for 2 weeks and I truly believe in this product since it had once helped me cleared my acne scars in the past. This soothing gel is not sticky jelly form...its texture is liquidy and light. It hydrates the skin and absorbs pretty quickly into the skin. However, the moisturizing effect won't last the whole day. 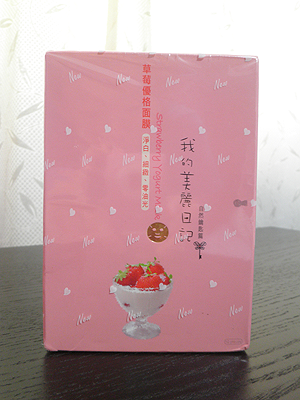 I came across this product when my friend, Shelin, gave me a small packet of sample to try it. During that time, I suffered from minor face rashes. My skin was red, dry, flaky, burning and itchy. This gel soothed the area where I got the rashes without further irritates it. Pretty nice, I like. I love the smell too! So, I went to buy a bottle of 150ml to keep it in my room. I apply this whenever I feels that my skin is dry. FYI, It can be apply to the face as well as to the body. Alright, that's all for my favorites of the month. And I've that same angel iPhone case that u hav!